Natural wood custom cabinets can sometimes be somewhat of a struggle to find. Also, a question you might ask yourself is, how do I know the quality of this material for my custom cabinets. Chances are is the heavier it is the better quality of the custom cabinets. If it seems or feels like cheap material then chances are it is. If you’re looking for a bargin on the custom cabinets that might be the rout you take but I warn you that might not be the wisest route to take. This isn’t something you want to replace every couple of years. Even if you get the cheap route now because of some special deal if your custom cabinets fall apart later on then you will be sorry that you went a little cheaper than if you bought higher grade custom cabinets. The higher grade custom cabinets are more beneficial for more than one reason. They have great appeal to a lot more styles. You of course want to like the way your custom cabinets look before anything. 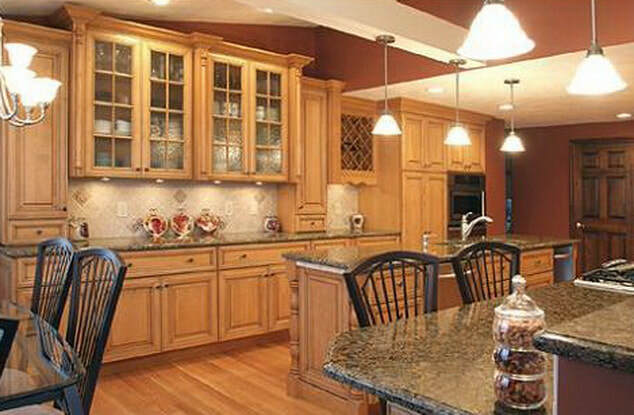 Shortly behind that you want your custom cabinets to last a long time. One might even say that they want their custom cabinets to last longer before they want them to look nicer. If you go with higher grade custom cabinets they will all around be the better deal in the end. At Cabinets of Katy we only have the higher grade custom cabinets in stock and that’s all we will ever carry for years to come.